I like reading, but reading can get pretty expensive. Good books cost upwards of $30 out here in Sydney and eBooks readers can get quite pricey – not to mention all that headache with eBook compatibility and such. There’s only one way to solve this conundrum… TO THE INTERNET! Many web novels on the Internet are free, or at least extremely cheap. I’m proud to say that over the many years that I’ve lived on the Internet, I’ve been able to amass a fairly impressive library of online novels and am happy to share them with you. I’ve got a real soft spot for Greek Mythology. Some of the earliest media I consumed were about Greek Myths and I’ve even won prizes for memorising and retelling the stories of Grecian heroes when I was a little tyke in school. 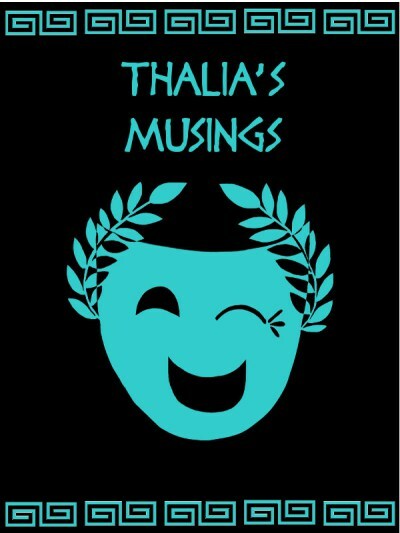 So, I was drawn to Thalia’s Musings by Amethyst Marie, a well-written insider account of the various quarrels, love affairs and dramatic deaths of the Grecian pantheon, as seen through the eyes of the not-so-innocent bystander, Thalia, the Muse of Comedy. Although the series loosely follows the stories of many Grecian myths, it diverges slightly from what is expected and doesn’t pull any punches when it comes to the raunchy behaviour of the Grecian gods (and goddesses too)! All in all, a great read. Amethyst Marie has written three books of the series so far and is currently writing the fourth. I’m at the edge of my seat to find out what happens next! The books are available free online, but if you’re willing to shell out a little money and support Amethyst, you can buy eBook versions of Thalia’s Musings in her shop. All right, I’ll admit that Stefan Gagne (aka Twoflower) is one of my favourite online novelists – I’ve even tagged him on the writing process blog tour! Unlike other online authors, Stefan really makes good use of the capabilities of html, working with different fonts, colours, images and even little flash programs to flavour the stories that he tells. His latest work, cyberpunk web novel series, Floating Point, is very topical; but I’m a little more fond of his earlier cyberpunk work – A Future We’d Like to See (FWLS). FWLS is a little 90s era zeerusty, but it still contains an underlying layer of unbridled optimism that came with the early Internet before the Eternal September of 1993, before all the trolling and the nastiness and the doxxing and stuff. Of his works, my favourites would have to be Unreal Estate, a sweet sci-fi romantic comedy deconstruction of harem anime of the 90s that spans across the multiverse; and Anachronauts, a post-apocalyptic fantasy novel about fairies, aliens and working together for the common good. Both of these novels are now available for purchase in book or eBook form on Stefan’s store. As a bonus, Stefan has included an extra short-story in each book that is not available online. I’ve written about one of Seanan McGuire’s books before, so I was pleased to note that she also releases free short stories on her Livejournal. Velveteen vs. is a realistically modern take on superheroes in a corporate world, exploring how the very nature of superheroes can be corrupted by the ever persistent bottom line. The series follows the story of Velveteen, a retired superheroine on the run from her former employers and her attempts to eke out a living as a civilian. It’s a compelling and emotional read, certainly worth the wait between chapters. 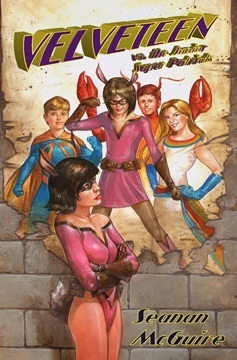 The Velveteen vs. stories are still ongoing, but Seanan has collated most of them into two books – Velveteen vs the Junior Super Patriots and Velveteen vs The Multiverse. Both are available at most bookstores, though you may have to order them in. Asian fantasy novels are fairly common these days, but very few capture that Tale of Genji spirit quite like Tapestry does. With its unique diary-style format, Tapestry follows the tale of Lady Uru, her husband Seichi, children Pen and Pang and house slave Heiye as they navigate the treacherous politics, pomp and ceremony of the Elite class in a fantasy empire. Wysteria Climbing does an expert job of painting Lady Uru’s personality through her conservative attitudes, reserved language and clever use of wordplay and inflection. Don’t let the 2008 dates on the Livejournal fool you, Wysteria is still very active on her blog and updates her story sporadically. The series is currently on its second book. While Tapestry doesn’t have a dead tree format just yet, but you can still support Wysteria on her Patreon. Doing so will increase the speed of her updates. While these series represent what I feel are the best web novels on the Internet, you can still find plenty more to sate your reading appetites at the Web Fiction Guide. However, if your tastes are more classical, you might want to give Project Gutenberg a try. Blue Sky by Waffleguppies: If you like the Portal game series, you might want to check this excellent piece of fanfiction out. It will seriously give you a case of the feels. (Don’t worry, they’ve started a support group for that). Digger by Ursula Vernon: This Hugo Award winning graphic novel follows the story of a very lost wombat and her adventures in a strange world full of cults, religions and talking hyenas. It is beautifully illustrated and cleverly written. Digger is also available in a dead forest format, known as the Digger omnibus. Sofa wolf press has copies for sale online. Explore with caution, some of the other stuff on sofa wolf can be nsfw.